Our big thick Summer issue has landed! Once you start flicking the pages you’ll discover we’ve changed things up this time around by adding a stack more feature length articles and richer content stories into the mag. Essentially, our new format equates to more thriller, no filler = all killer! The awesome cover shot gracing issue 49 is Rae Morrison on her new 2018 Factory LIV race bike, and Rae’s got an in-depth 5-page interview inside. Also headlining this edition is Sam Hill’s UNSTOPABLE feature – one of his most candid interviews to date reflecting on his amazing ‘17 season and his plans step it up even further this year. We then head across to Portugal for the launch of Canyon’s impressive new gravity and trail bike range. You’ve probably heard about the crazy big new bike Park that’s being built down in Maydena, TAS? Well we went and experienced the epic’ness first hand and we’ll be telling you all about it. What if we then told you we’ve lined up 13 of the absolute biggest names in gravity racing to share with you their tips and advice in our ‘The Art Of Cornering’ feature? Oh yes. The goodness then keeps flowing as we catch up with new local brand on the scene M20 Industries to learn about what they’re up to. We’ll also take you behind the scenes to check out how the Coastal Crew x Mind Spark made their latest masterpiece film, Motive. After that we’ll go and catch up with the brains behind ‘Eskapee’ and explore parts of their highly creative and superbly curated MTB content landscape. We reckon the time has come, it’s time that we put together for you our definitive guide to e-Mountain Bikes! Over 7 massive pages we’ll run you through everything e-MTB that you need to know; the how, the why, the latest trends, the technology, as well as a buyers guide to the best models on the market. You want more? Sure, how about we go and visit SRAM global headquarters to discover how they developed the mighty Eagle GX drivetrain? Done. Then we’ll tell you the adventurous tale of 3 mates who set off to try and re-trace the mega loop of Derby’s EWS race course in a single day. ­­And we’re still not done; we’ve also complied in-depth bike reviews on the new Transition ‘Sentinel’, Kona’s latest Process 153 CR DL, the 2018 Giant Reign Advanced 1 and Trek’s new Slash 9.7. 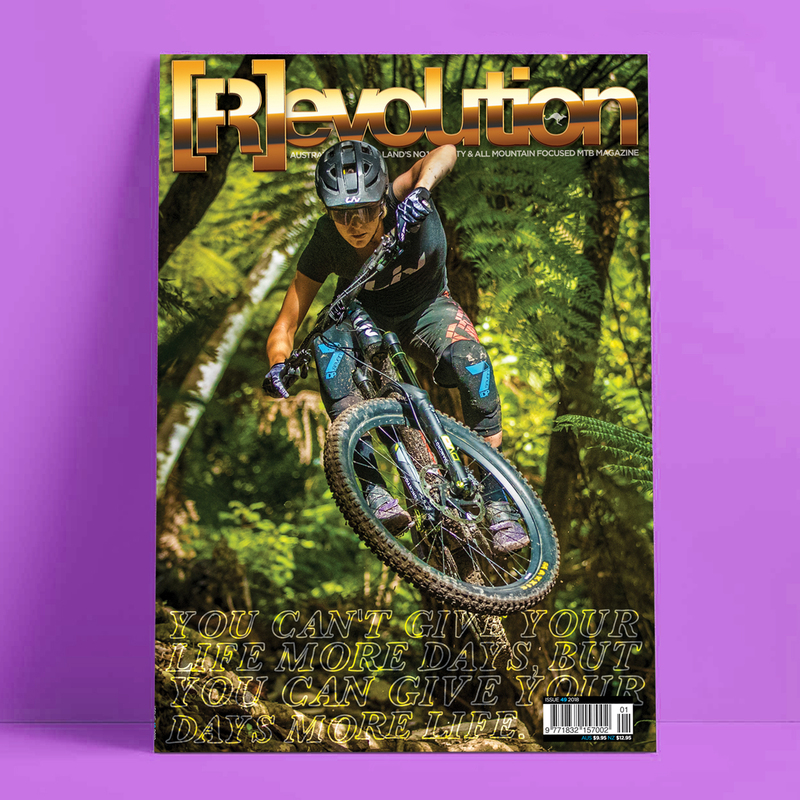 Our latest issue has all of that, plus a stack of the latest MTB news, product reviews, rider columns and the best MTB photography from across the globe. Be sure to grab a copy today!